Main Campus Face-to-Face Track – Courses meet two evenings each week during the regular semester and 3-4 evenings during the summer sessions. 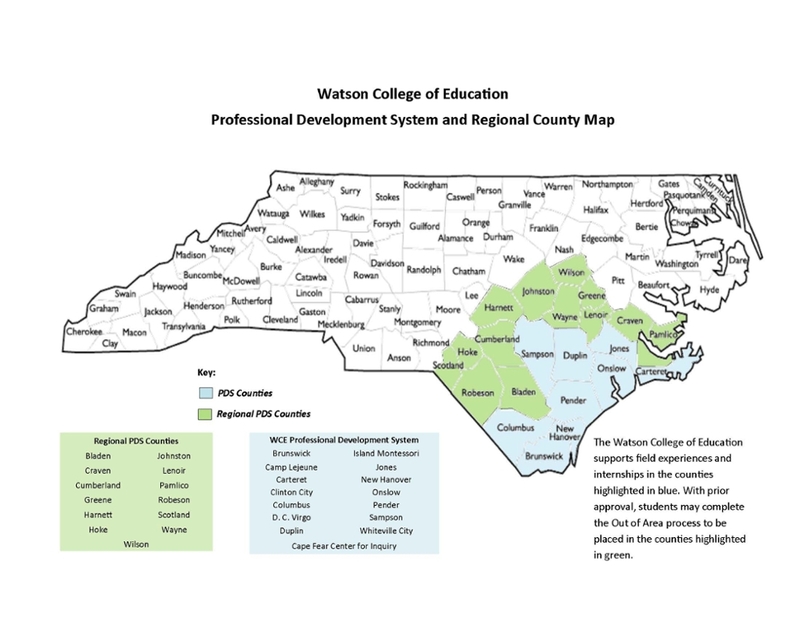 Field experiences (including the internship) take place in PDS Counties. Distance Learning/Online Track – Courses are fully online and delivered asynchronously. Field experiences (including the internship) take place in PDS Counties and Regional PDS Counties. Field placements for both the main campus and distance education option occur in K-5 public education settings and require a minimum of 30 hours per semester. A full-time internship is completed during the final semester. Bachelor's degree from a regionally accredited college or university completed before graduate study begins. Official copies of transcripts of all college work (undergraduate and graduate). Undergraduate GPA of 3.0 or better is recommended. Three recommendations by individuals in relevant professional fields. A letter of interest describing your interest in pursuing teaching as a profession, why you consider yourself a strong candidate for the program, and your commitment to working with children. Application and supplemental documents must be submitted by the published deadline. Please see the UNCW Graduate Catalog for additional information. Please see the Graduate School for further information regarding application dates for the MAT Program.